Marco Polo enjoys a fantastic position a little over a kilometre from the pretty village of Porches, home to O Leao, one of the Algarve’s most renowned restaurants. 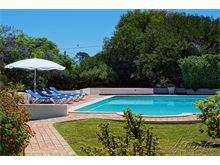 With countryside views and a fantastic 12 x 6 metre pool set in the large grounds this traditionally styled villa offers an excellent peaceful situation for a relaxing holiday. Just a short drive from the popular beach resorts of Armacao de Pera and Carvoeiro there is plenty to explore nearby. It is possible to walk into Porches where you can find a small convenience store, a grocers, restaurants, shops and a pharmacy but it should be noted that the walk is along an unmade road without a pavement. 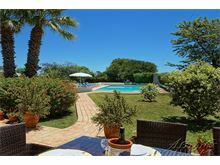 Approximately 1km from Porches and 3kms from Senhora da Rocha beach and 4kms from resort of Armacao de Pera. 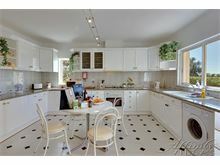 Entrance leads straight into the kitchen equipped with dishwasher, fridge/freezer, washing machine and with adjoining utility room with additional fridge. 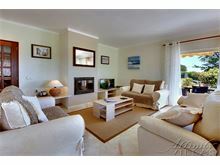 Then into open plan sitting room with TV, DVD, stereo, wood burning stove, dining area, doors to covered patio terrace with built-in barbecue leading to garden and pool area. 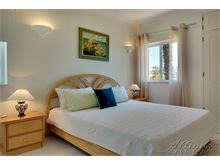 The ground floor also contains one double bedroom, 1 twin bedroom, guest cloakroom and shower room. 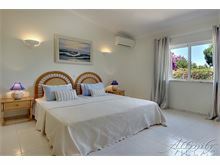 Up stairs to the master bedroom with with twin mattresses on a king size base, balcony terrace overlooking the pool and en suite bathroom. Maid service 2 times per week. Air conditioning and WiFi available at additional charge, if required. Nice house with lovely pool. Very quiet country location. The famous Porches Pottery is a very short drive away - well worth a visit. 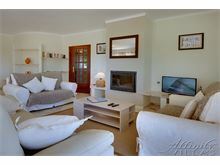 An excellent villa which was represented very well on the website. 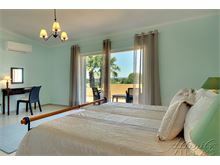 The layout of the villas was great for a family and the large pool was lovely. 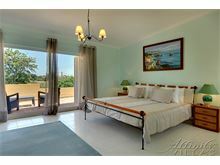 The villas was located in a nice peaceful area but not too far away from some lovely beaches and restaurants. I would certainly recommend it to others wanting a laid back holiday. Villa, garden and pool were very good. Rooms light and airy with insect screens at the windows. Porches is very quiet which suited us but may be too quiet for some people. Excellent villa with amazing pool! 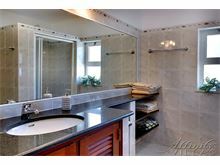 A good location and very spacious! We had a super holiday and was truly relaxing! Well worth a visit! Overall the villa and holiday were very good. 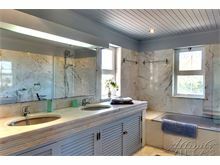 The accommodation both internally and externally could not be faulted. The villa was wonderful as was the pool and gardens. Its a little remote but if you have a car its no problem at all. We are considering reserving it for a week next year which speaks for itself! 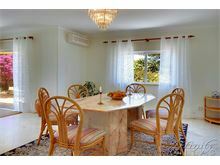 Excellent and well maintained villa in a peaceful and secluded location. Very pleasant villa off the beaten track car essential. Very good restaurant in Porches called " Porches Velho" and plenty in near by Carvoeiro restaurant "Gale" in particular worth a visit but you have to book. 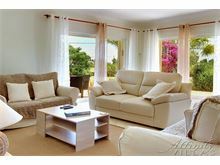 We have been coming to Portugal for over 20 years and have booked with Affinity Villas before we have been pleased with all the villa's we have stayed in.